Thought I’d share the links to some free patterns that I’m putting in my Ravelry queue and would like to knit. 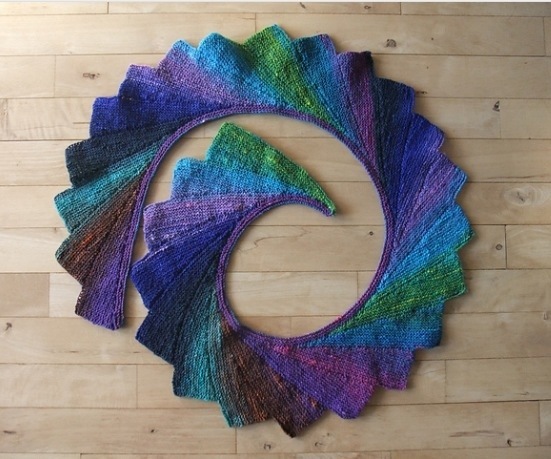 Today’s pattern is Wingspan which will be free until July 20, 2013. I’ve been knitting a lot of shawls this summer (I’m currently working on my first Hitchhiker). I can’t wait to start Wingspan. Since knitting several Color Affection shawls, I don’t find short rows too overwhelming and the garter stitch is perfect for stress-free summer knitting.